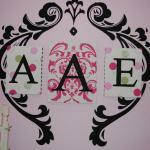 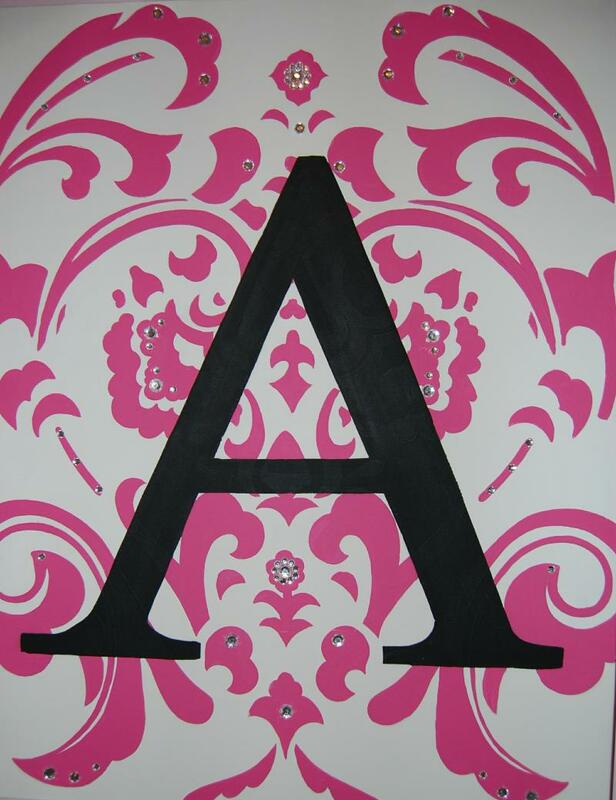 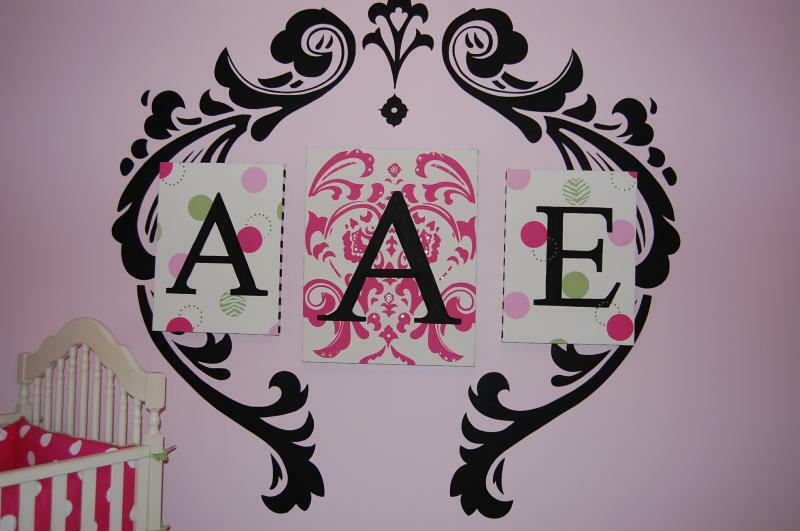 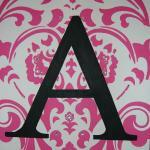 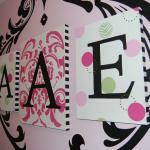 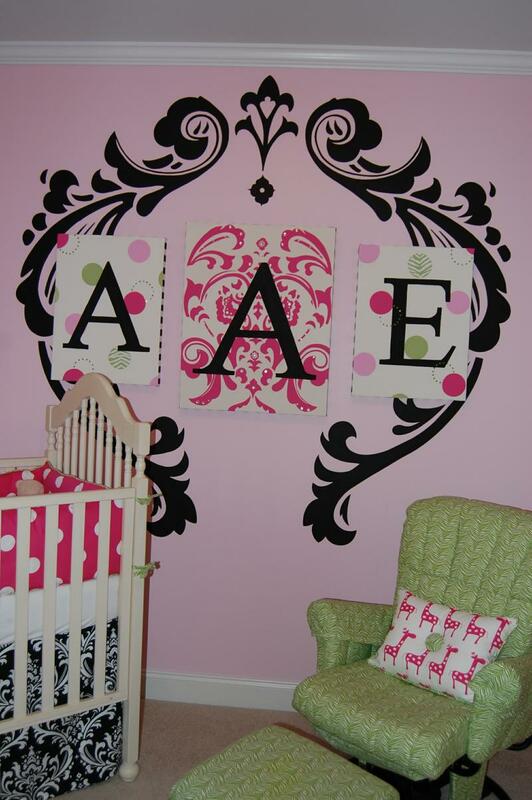 Avens nursery lets us envison style and glamor on one wall. 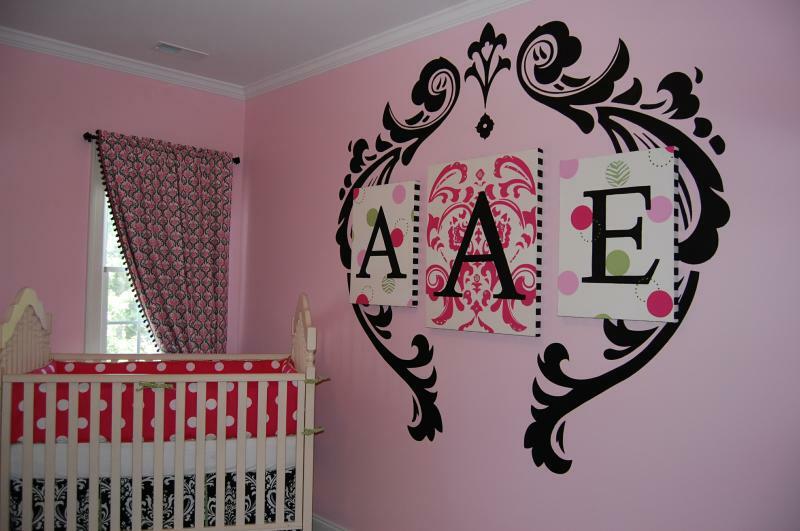 Copying the fabric damask design in hot pink and black, we needed to crete something unique and had a large blank wall to utilize. 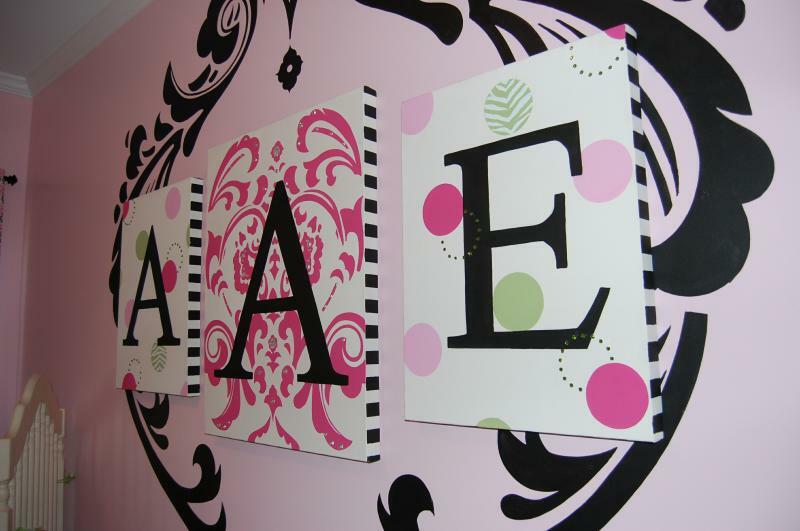 Coming up with a design to compliment the bedding and colors we came up with a large replica of the fabric design and added glamor touches of glass jewels on the monogramed canvas's. 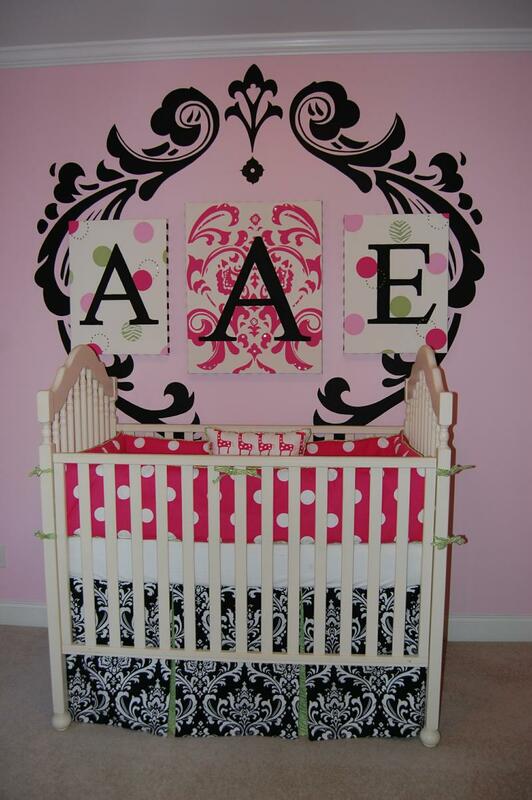 With a splash of lime green on the piping in the bedding and the rocking chair in the room, this nursery sets a tone of sophistication and originality.